After being absent as a geopolitical force to be reckoned with in the Middle East for almost two decades, Russia is now seeking ways to downscale Washington’s presence in the region by becoming a pillar of regional security. And it seems that this time around Moscow has every chance to become the undisputed leader across the Middle East and North Africa (MENA). It’s safe to say that Washington’s grand plan for the redrawal of the regional map, and especially its proxy designs in Syria, have all failed. Syria’s leader, President Bashar al-Assad, is now steps away from reclaiming all of Syria’s territory. This development has serious regional implications, as it proves to regional players that if you have consistency in the policies you pursue and if you have just the right allies on your side, the tide can be turned in your favor, no matter how much meddling Washington throws your way. At certain points, it seemed that all was but lost for Damascus over the course of the Syrian war, but yet, here we are. This shows that Russia is the only serious partner that actually fulfills its obligations to its partners. This is an important sign that the balance of power in the Middle East is changing significantly, which results in its influence growing across the region, from Morocco to Pakistan. It’s been pointed out that the process of partial American disengagement from the region, which began under President Barack Obama, has further increased under President Donald Trump. Furthermore, Washington’s allies in the region today have become hesitant to continue placing all of their strategic faith and security into American hands. Trump’s unique personality has produced more doubts and fears across the Middle East than the personality of any other occupant of the White House prior to him. This statement can be illustrated by a handful of examples, among which is an abrupt turnaround that the Trump administration made in its approach towards Iran, with Washington pushing with all its might for a war with this major regional player, while ignoring all prior international agreements on the fate of Iran’s nuclear program. Washington’s relations with Egypt have also fallen victim to the schizophrenic designs of the White House, with the Trump administration erasing Egypt’s status as a former regional Arab leader, transforming it into a state that still must follow American diktats in exchange for insufficient financial support from its overseas masters. However, as soon as Washington decided to introduce sanctions on arms supplies to Egypt, Cairo would launch a process of rapid rapprochement with Moscow. As for Riyadh, it safe to say that for decades an unwritten deal has governed US-Saudi relations that implied the assured security of the latter was exchanged for assured oil supplies. Those ties ran deep back in 1991 when the United States chose to go to war in defense of Saudi Arabia. However, once Washington transitioned from the list of oil importers into the ranks of oil producers, it has effectively lost its strategic dependence on Saudi Arabia. This resulted in the White House changing its approach to Riyadh, which is now reduced to the role of a mindless importer of virtually all the weapons American corporations are capable of producing. The stake through the heart of decades of old ties was driven by Washington through the introduction of JASTA, which empowers 9/11 victims and their relatives in American courts, if they choose, to sue Saudi Arabia over those despicable terrorist attacks. Against this backdrop, it’s worth wondering under which circumstances Saudi supreme ruler, king Salman bin Abdulaziz Al-Saud paid his first visit to Moscow back in 2017, with the two countries reaching an agreement on the sale of Russia’s cutting edge S-400 anti-aircraft missile system. 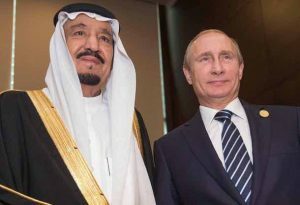 However, this visit has also resulted in Moscow and Riyadh reaching an understanding on such topics as the development of bilateral cooperation in nuclear energy and the drop of oil production levels in a bid to restore the price of oil that were deliberately undermined by Washington, inflicting an extensive amount of financial losses on Riyadh. Turkey, which for several decades was perhaps the most anti-Russian member of NATO, is getting closer to Moscow and, apparently, is not in a hurry to turn its back on it own deal toward the acquisition of S-400 systems, in spite of the vehement objections being voiced in Washington and by NATO. 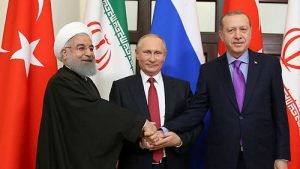 Local analysts argue that an emerging Russia-Turkey-Iran alliance could reshape the entire Middle East. Further still, a nuclear regional power with a massive army that used to be an faithful ally of Washington, Pakistan, is now also inclined to seek rapprochement with Moscow and Beijing after a series of insulting remarks that Trump made via Twitter against Islamabad. The Telegraph has also pointed out that Russia exerts growing clout in the Middle East as it managed to redefine its ties with Israel. As Russian military police have begun patrolling the demilitarized zone between Israel and Syria in the Golan Heights, there can hardly be any disputes over the fact that this development constitutes yet another breakthrough for Moscow and its diplomacy. 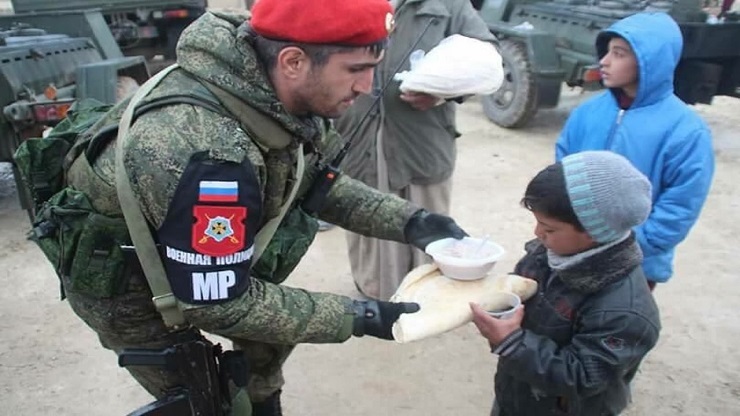 A recent poll conducted by the Spanish newspaper El Pais among young Arab people in a total of 16 countries has resulted in Russia being called a reliable ally by the absolute majority. It’s curious that the United States has been eliminated from the top ten list of allies of the region, with Washington ranking in 11th place. The decline of the United States and the rise of Russia in the region is one of the most significant trends observed in the course of a similar poll, in which young men and women from North Africa (Algeria, Egypt, Morocco, Libya, Tunisia), the Gulf Cooperation Council (Saudi Arabia, the United Arab Emirates, Kuwait, Qatar, Oman and Bahrain) and the Levant zone (Jordan, Iraq, Lebanon, Palestine and Yemen) express their opinions. The majority of respondents (57%) believe that Washington is an enemy of their nations. The least confidence in the good will of the United States is expressed by Persian Gulf youth. It is noteworthy that such an abrupt decline in the role that Washington plays in the region occurred over the period of Trump’s presidency, even though the US was consistently losing its public image prior to Trump taking office. As the military superiority of the United States declines, Washington has no other options to fall back on to shore up what was the foundation of America’s economic, political, moral, and cultural primacy in the region. However, the Russian-American struggle for influence in the Middle East will not be resolved through the force of arms, in which the US still hopes it has an edge, but through purely diplomatic means, and here Putin can give Trump a run for his money any day of the week.